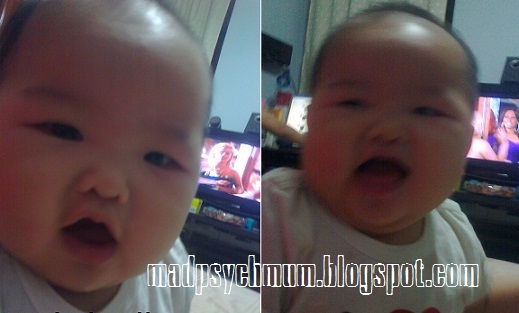 MadPsychMum | Singapore Parenting + Travel Blog: Got Mummy's Milk? "OMG look at the size of those thighs!" Ever since she was 3 months old her weight has been off the charts. Every time I visit the doctor, his/her first question to me was, "Do you have any concerns?" and my first response would always be, "Is she too fat??" However, both doctors (her pediatrician in NUH and polyclinic doctor) will ask me if I'm breastfeeding and when I say yes, they will say "that's normal for breastfeeding lah." ﻿I have been breastfeeding exclusively since the birth of baby J for the last 5 months. I combine both direct feeding and bottle feeding of my expressed milk, which I get by hooking up to a breast pump and getting milked like a cow. You must have direct feeding if you want your milk supply to stay in the 'so much that I can save some for tomorrow' range. Initially it will be painful and tiring but if you keep at it, it'll get easier. There is no washing, no sterilizing and no storing involved. She's in and she's out in 10 minutes flat. You must also have a breast pump so that you can take a break from feeding baby and sleep (believe me, you need it!). 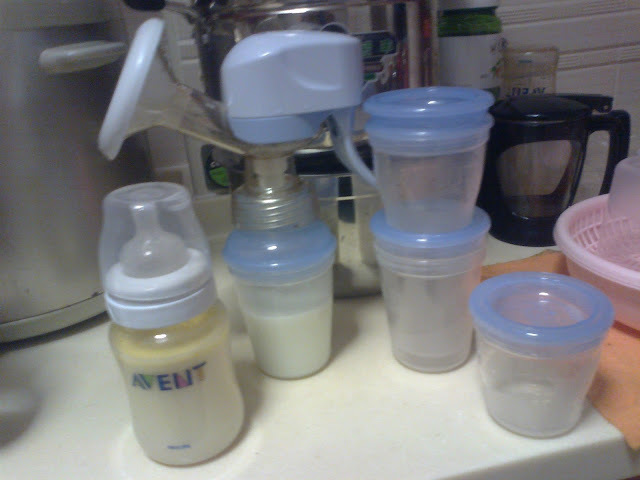 There are many kinds of breast pumps to choose from but please, get an electric one (trust me I totally regretted buying the manual and ended buying both)! It's more inconvenient but gives you time to rest, go out without baby and go back to work. Will continue more in another post. Meanwhile, enjoy some more cutesy pictures of baby J.
I can't believe I'm a guy & I'm reading this blog haha... it's hilarious too "milked like a cow"??? LOL where's her "I<3MOM" jumper?! Thanks for reading! Appreciate it. Nah I dont need her to wear her love on her sleeve like her dad does.. haha. Am enjoying your blog! I'm a new follower. I am also a psychologist, so the name of your blog (found on For the Love of Blogs) caught my interest. My daughters were both exclusively breastfed too. 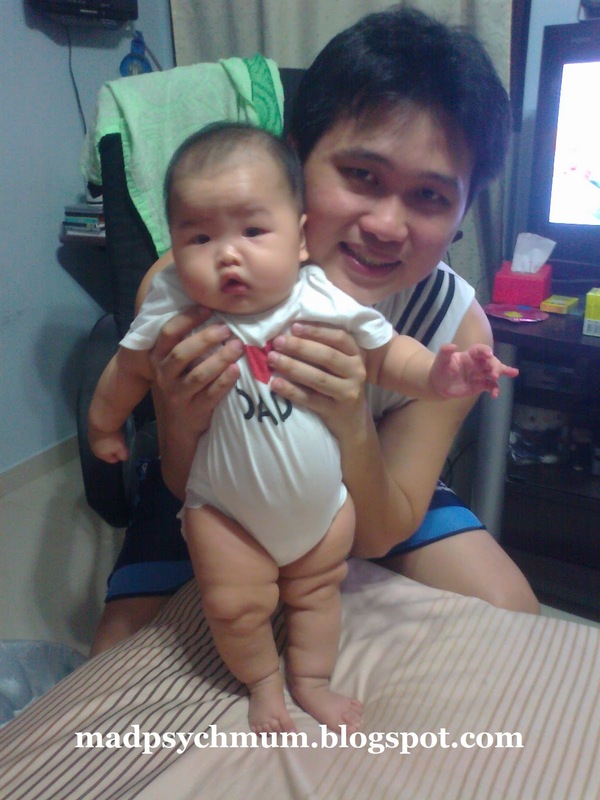 My younger is 8 months and is still nursing and is a super chub (so was my older daughter). I love the baby fat rolls! Looking for a visa to get to Vietnam? Well, you need not look any more because thehttps://www.greenvisa.io visa service is here to give you your visa so you can fly.